Halloween is celebrated to scare people. Everyone is dressed in the pumpkin attire. The colors of the Halloween season are black, orange, red, gold, copper etc. 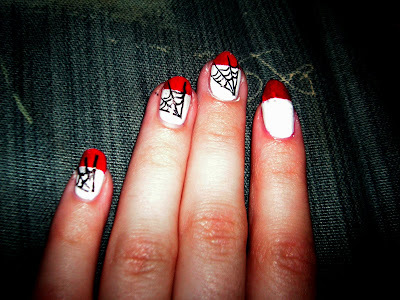 the Halloween nail art foes well on both the natural nails as well as the extended nails. 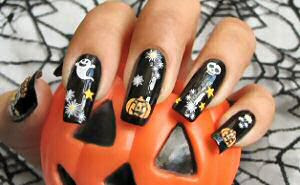 Halloween nails can be done on your natural nails. And if you think that your natural nails are too short to portray the Halloween elements then there are also acrylic Halloween nails available to give your nails that spunky look. Black and orange themed Halloween nails are the favorite. 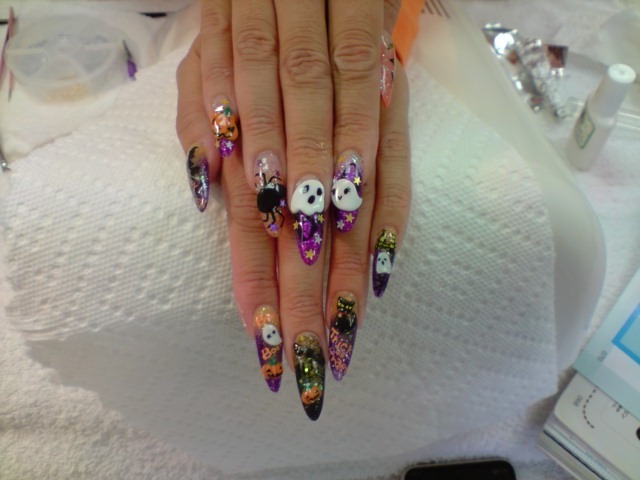 There are endless design and color combination to go with Halloween nails. The design on your nails is your style statement so you got to do it well. One good way to decorate your nails this Halloween is to paint your nails in orange and black on the alternate fingers and do a different design on each nails. A pumpkin on nail, a witch on the other, a witch cap on the third and so on and so forth.